Welcome to McAllen, a premier city with a population of about 131,000 and 50 square miles of land area that shines with local spirit and global appeal. McAllen is indeed the “Jewel in the Valley Crown.” It is one of the Fastest Growing Metros in the State of Texas and has been listed in Forbes as one of the top ten best cities for economical growth. 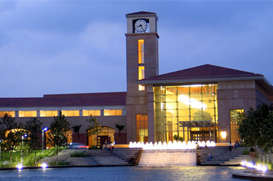 McAllen leverages its strategic location to create international business opportunities and tourism. South Texas College is located here in McAllen and this great community college offers more than 90 degrees and certificate program options in more than 40 subjects. The city of McAllen is a 21st century city with an eye on culture, quality of life, environment and well-planned growth.